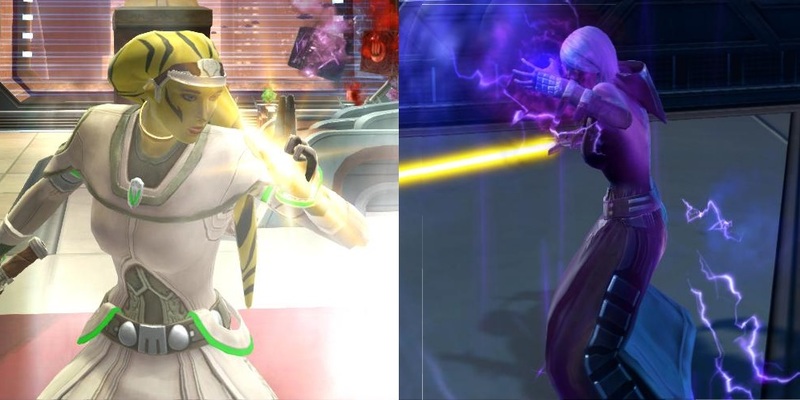 Going Commando | A SWTOR Fan Blog: Which Healing Class Should I Choose? A few weeks ago I saw a post on Reddit by a self-proclaimed "salty veteran" who wanted to know how he would make the game a better place for new players. The response was overwhelming and quite insightful, with the majority of replies coming down to new players confessing that they were unsure about certain parts of the game and had difficulties finding up-to-date guides. Now, I've never been much of a guide writer and don't intend to become one either, but one of the questions that was brought up - which healing class to choose if you know you like the role but don't know which class would fit your playstyle - stood out to me as something that I could see myself writing a post about, seeing how I enjoy healing more than any other role in the game. Now, often when people ask which healing class they should choose, what they really mean is: "Which healing class is currently the most overpowered?" As of 4.0, Sages/Sorcerers are the kings of ranked PvP healing, however in casual PvP and in PvE all healing classes are viable. These things can change with class-rebalancing introduced in patches though, so if you're reading this several months or even years into the future, I would advise you to check the PvP section on the official forums and simply look at which class players complain about as the most overpowered right now. The following is more about the "feel" of each class, regardless of their current power level. Both Commando and Mercenary are heavily armed and heavily armoured, with the trooper representing the loyal soldiers of the Republic while the bounty hunter is a gun-for-hire operating within the influence sphere of the Empire. 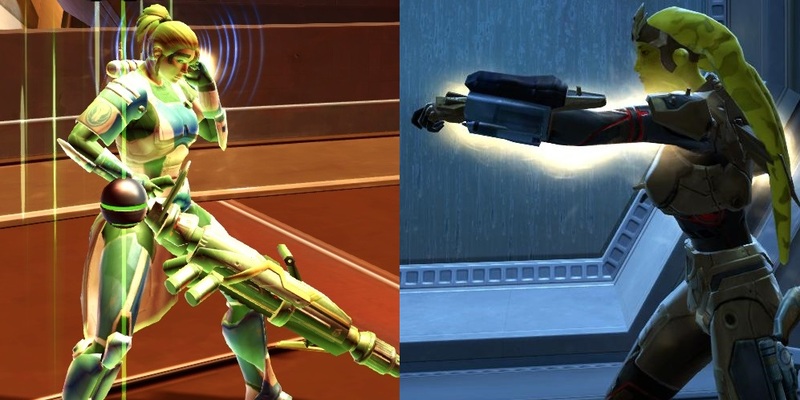 They heal by using technology appropriate for the job, which usually comes in the form of healing probes for the Commando and healing scans for the Mercenary. 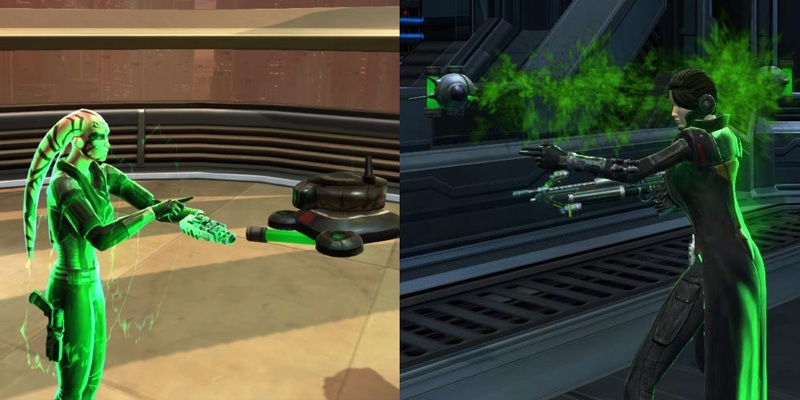 These two used to be known as single-target "turret healers" back in the day, due to their low mobility and reliance on heals with a cast time. This has been considerably improved since then, though it takes until the higher levels until you've unlocked all the abilities and upgrades that allow you to heal efficiently while on the run. Their AoE heals are pretty decent nowadays as well. Nonetheless they've somewhat maintained a reputation for being strong single-target healers, largely because they have several single target heals that synergise with each other and can put out a pretty big burst of healing within a matter of seconds if used correctly. There is also a dimension of "pre-emptive" healing to this healer, as one of their later abilites, Trauma Probe/Kolto Shell, is placed on targets in advance and then heals them every time they get hit (with an internal cooldown). If a WoW comparison is helpful, it works similar to a shaman's earth shield, only that you can blanket the whole raid with these probes. If you like the idea of using the Force to heal, this is your healer of choice. Sages envelop their targets in a warm golden glow, while Sorcerers do the same in purple (probably to match the purple lightning theme of the class). Lore-wise they are the scholars/researchers of their order, with a bit if diplomacy thrown in on Republic side. Sages used to be the game's big AoE healers but have become more of a jack-of-all-trades since then. 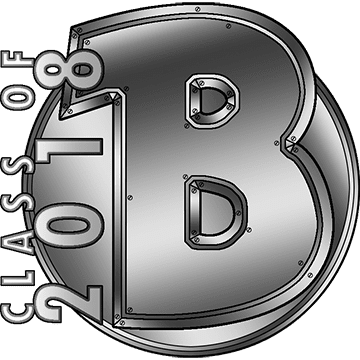 They have loads of very different healing abilities, from Force bubbles that shield their allies from damage to glowy puddles of goodness that heal people when they stand in them. 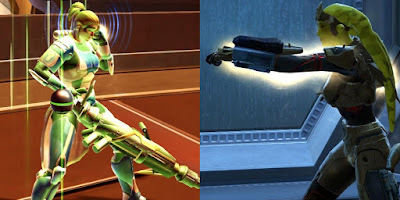 They've also always had decent mobility, and while their light armour makes them kind of squishy, they have some great cooldowns/escapes to ensure survival in PvP these days. They've always reminded me of World of Warcraft's holy priests (which was my favourite healing class in that game). In 3.0 they even got their own version of WoW's Prayer of Mending (Wandering Mend/Roaming Mend). You can get a lot of fun out of healing as a Sage/Sorcerer, but the large amount of very different abilities can also be a bit confusing to someone new to healing in MMOs. Whether you prefer to be a Republic privateer always on the lookout for opportunities to make money or an Imperial spy dealing with undercover work and conspiracies, both of these classes offer some of the best class stories the game has to offer, though they are very different in style (humour vs. intrigue). When they slip into the role of healer, they use technical gadgets like medpacks and kolto darts to heal their allies. One of the defining features of these two classes is that they can stealth. So if you want to be a healer but also enjoy sneaking past your enemies whenever possible, this might be the class for you. Other than that their major trick is that they rely heavily on heals over time. One of their staples is Slow-release Medpac/Kolto Probe, a single-target heal over time that can be stacked - vaguely reminiscent of a druid's Lifebloom in WoW, though without the bloom - and can add up to impressive numbers if a whole raid group gets blanketed with it. They also have strong AoE heals, but to get the most out of the class, one needs to be able to plan ahead and get the HoTs rolling before the big damage hits, otherwise burst damage can be a bit of a struggle. Patch 4.1 - Over Nine Thousand!